Welcome to the CEO, Joel Rabe’s, Music Charts! Find out what our CEO’s current favorite tracks are to play. Simply click on the links below to sample the top music tracks from Joel. Joel’s Picks for January 2018! 19. 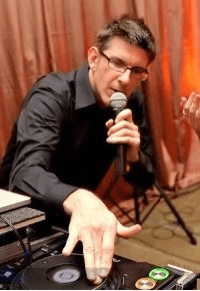 Glamorous Life | Sheila E.
Find out more about DJ Joel at his blog here. Also check out DJ Joel’s latest music mixes here. Listen to Joel’s latest FIT Radio mix here.